With the help of our skillful personnel and a qualified team, we are capable of manufacturing, supplying the best quality sturdy range of Mild Steel Railings. Recognized for its excellent structure, this railing is made to meet variegated exterior and interior furnishing needs. 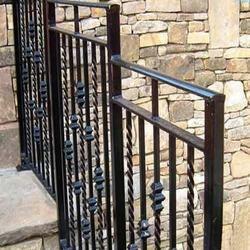 Crafted from mild steel, these railing are beautiful and attractive. Fabricated and tested under various parameters, we ensure complete strength and durability of these before the final dispatch. We are one of the highly coveted and widely acclaimed manufacturers and as well as suppliers of this Stainless Steel Railings range. 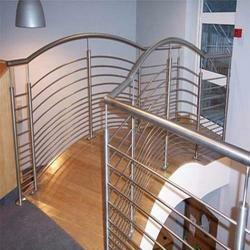 These railings are highly elegant and made from durable stainless steel. Customers can avail these for installation at their staircases, verandas, terrace, porch and many other places of homes and buildings. Fitted with high tensile strength frames and very attractive shaped curves, our stainless steel railings are rust proof.